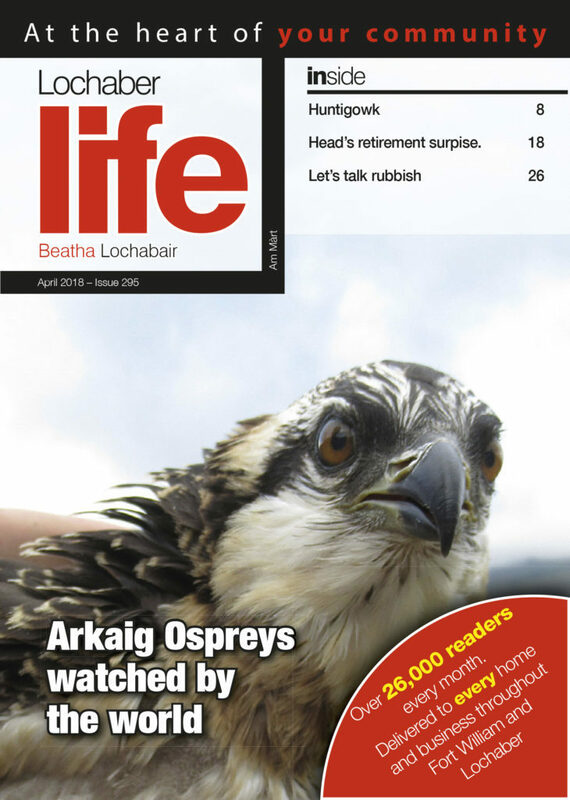 This month’s Lochaber Life is packed full of great reads, including Help Town Team with Floral Hanging Baskets, Bee Above the Door and Rebellion for Climate Change. The Lighthouse Craft Shop in Port Appin has received national recognition as one of the best independent shops in Scotland. This month’s Lochaber Life is packed full of great reads, including T-shirt selfies for Fire Service charity, Lochaber Women’s Aid 15 years on and Ben Nevis whisky success. This month’s Lochaber Life is packed full of great reads, including Karate for All, Fort William Shinty Club part 2 and Fort William Mountain Festival. This month’s Lochaber Life is packed full of great reads, including Josh cycles to success, Ski patrol ready for action on the slopes and Eddie ‘The Smiler’ Edwards. This month’s Lochaber Life is packed full of great reads, including Fatball Feathered Friends, Christmas Recipe and Saturday Club Red Nose Reindeer Hunt. This month’s Lochaber Life is packed full of great reads, including Glengarry Flower Festival, Lochaber from Above and The Bard of Bogmonie. This month’s Lochaber Life is packed full of great reads, including New Age of Steam, Ideas Week programme and Slug Survey.